ok in the last few weeks a lot has happened. so the saxons have 6 workers. last night i even watched one enclose!! they are hooked up to my test tube portal and have been eating lost of mealworm and sugar water, which they prefer over honey. also the black yeti's just got their first nantic last night! 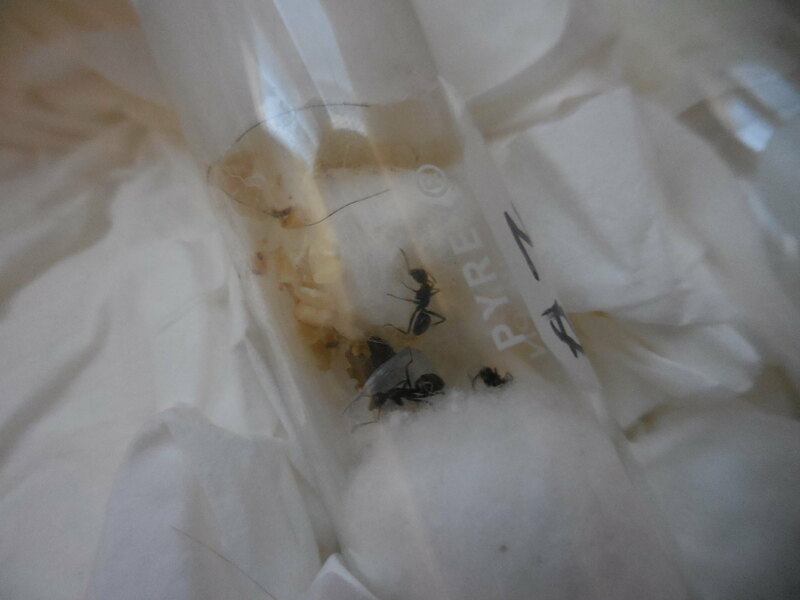 So all of my colonies are growing fast but first i sadly say that i released the gi-ant queen. 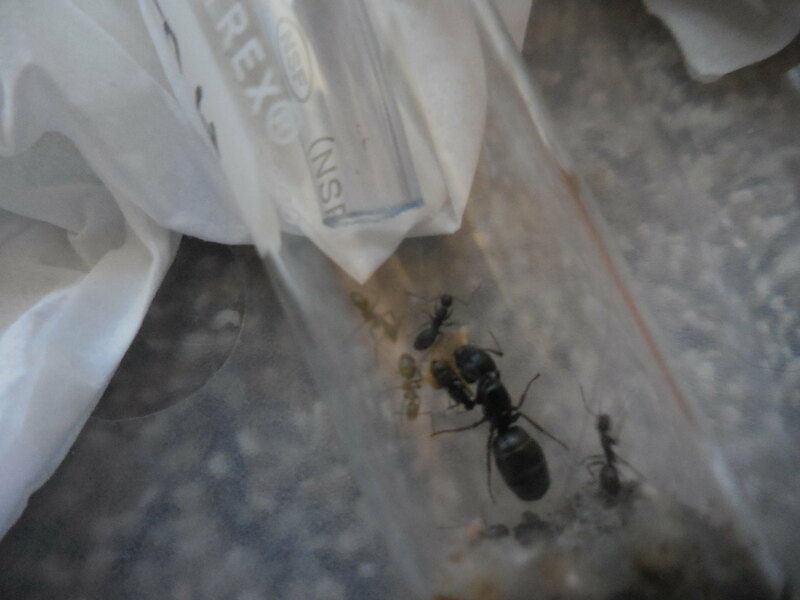 other than that both of my c. pennsylvanicus queens are doing great. 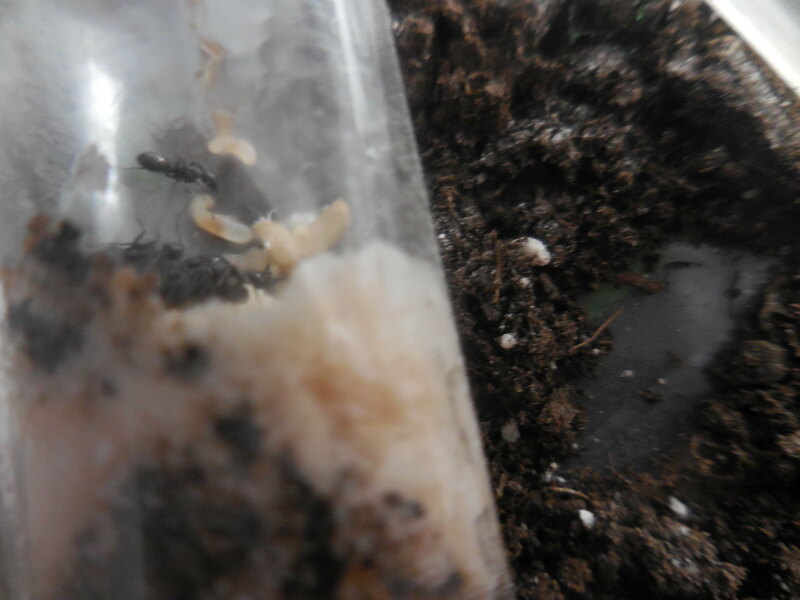 the Saxons have slowly grown to about 10 workers and have 2 pupae. 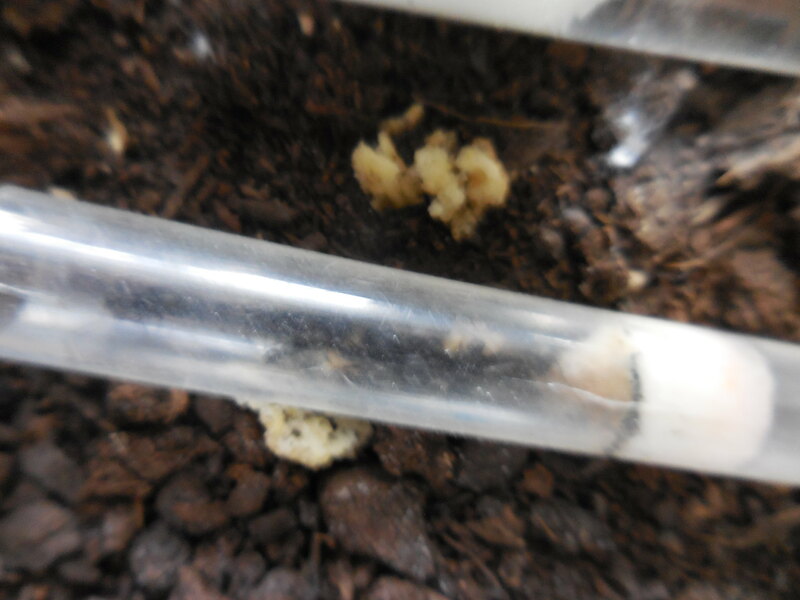 i don't know about other brood because recently they moved into my plastic sugar water test tube and it's really cramped and hard to see in there. One last big anoucement is that they have a larger worker. i'm not sure if she counts as a major but she is like half as big as the other workers. Do you see workers very often, or are they kind of rare too? I haven't seen any of their workers but could I still find their queens? i found their workers first, because i looked in like march. you can still find them but only some colonies are active because of the heat. i have found that they like nesting under trees. my only guess could be that they nest their is because of the shade making it cooler so that they can stay active during the summer? 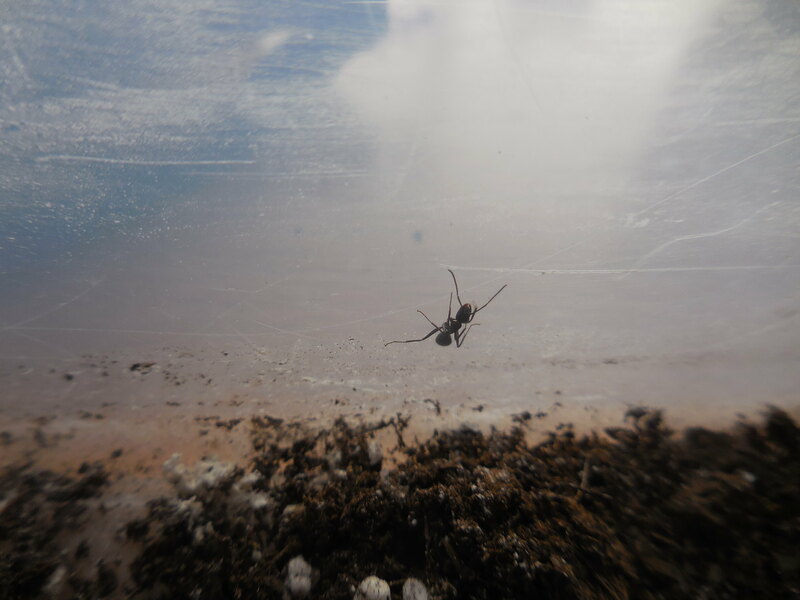 With there worker count at about 16 this colony when taken out of hibernation was lazy and holed themselves up for a week until I finally coaxed them out with some sugar water. 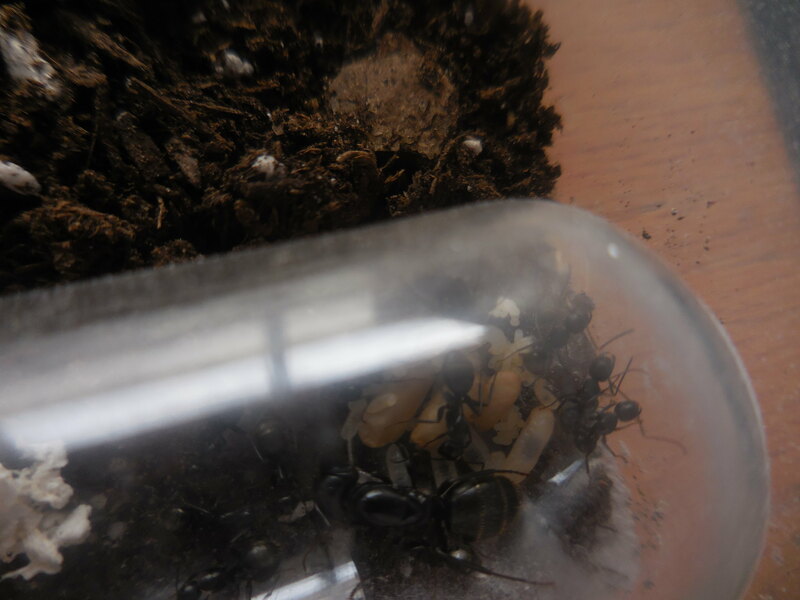 Now they are my most active colony by far and always have a worker patrolling for food which they have accepted and eaten. This ravenous hunger has it's results and there giant brood pile from hibernation has been growing, and fast!! 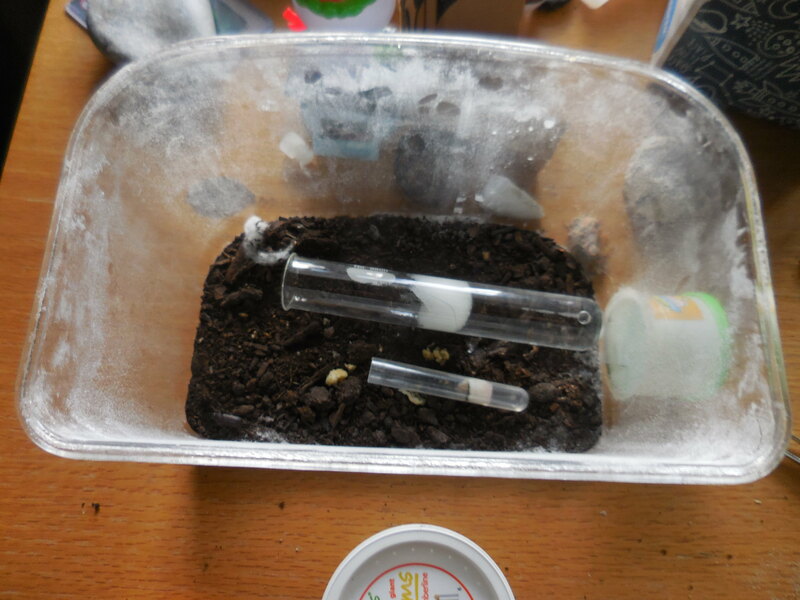 in the 4 days they have been active they have had 3 of there larvae go from medium larvae to full grown major pupae. I would love to say in about 2 months they'll enclose but at this rate it might be a lot sooner!! even though they are the smallest colony I have, these gals have been active from the start and have been drinking plenty of sugar water. Now they are calming down a bit and are just slowly growing using their repletes for food. There brood might not be growing as fast as the Saxons but they have definitely made progress and hopefully the new workers will boost this colony for summer. here is there VERY healthy brood pile the larvae in the center (the big one) is actually making a cocoon though its hard to see. 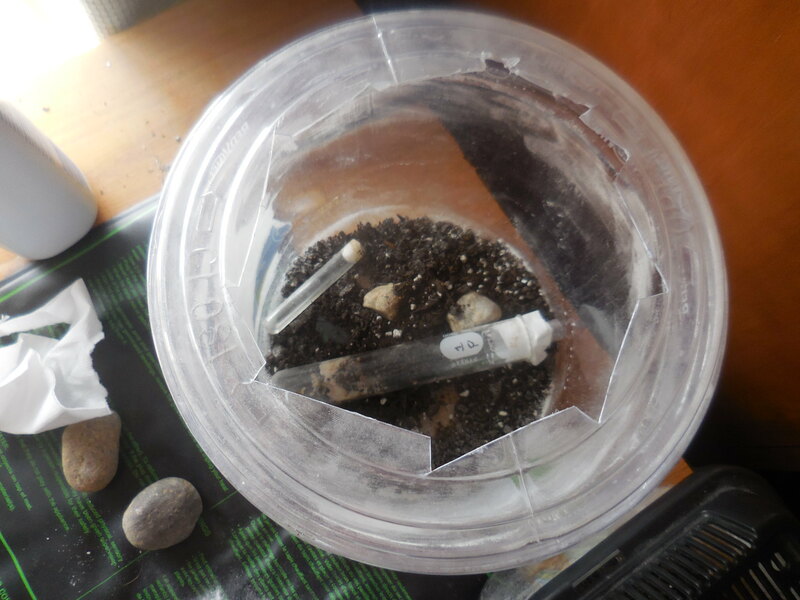 that raises them to 4 pupae tons of smaller larvae and many eggs.